We all have those music fanatic friends who always say they were listening to a band before the band even existed. Well, if that’s you, or you’d like to join in on the bragging, Spotify’s new ‘Found Them First‘ Web app is what you need. All you have to do is log in using your Spotify account details and it crunches your data to find the artists you were listening to before they made it big. 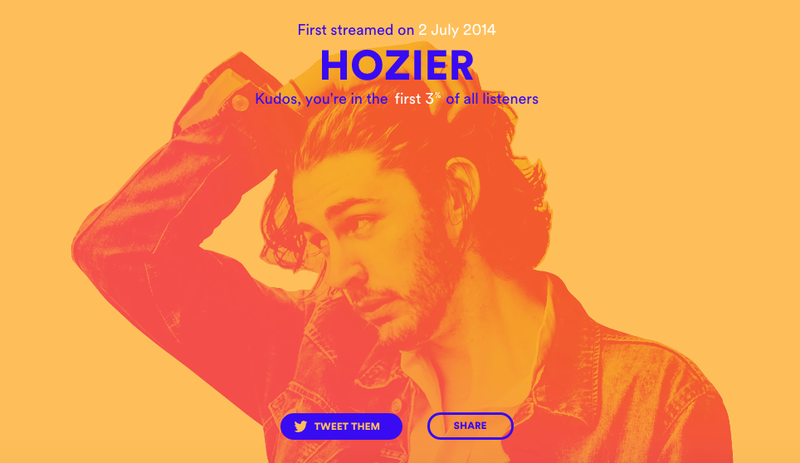 Naturally, I was among the first 3% and 5% of listeners for Irish artists Kodaline and Hozier, who were both quite well-known and established in Ireland before venturing further afield. 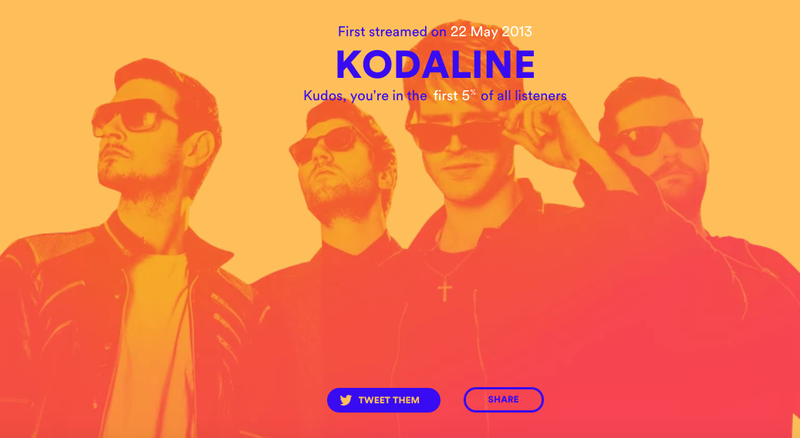 Spotify defines the artists included as “breakout” if they have had more than 20 million streams and a streaming growth rate of 2,000% between January 2013 and June 2015. You will need to have been among the first 1-15% of listeners to be determined as an early fan. As well as delighting music snobs, the new Web app shows off Spotify’s data-mining skills and how this could be used for marketing artists by being able to see the people who were actually influencing a particular band or musicians growth from the early days.